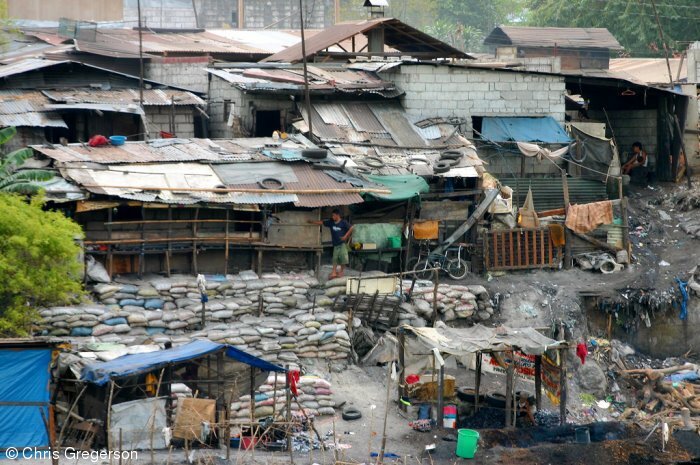 This slum is on the bank of the Abacan River. It's extra grey and dark because of the livelihood of the residents, they burn wood scraps to make charcoal to sell. I visited there once.